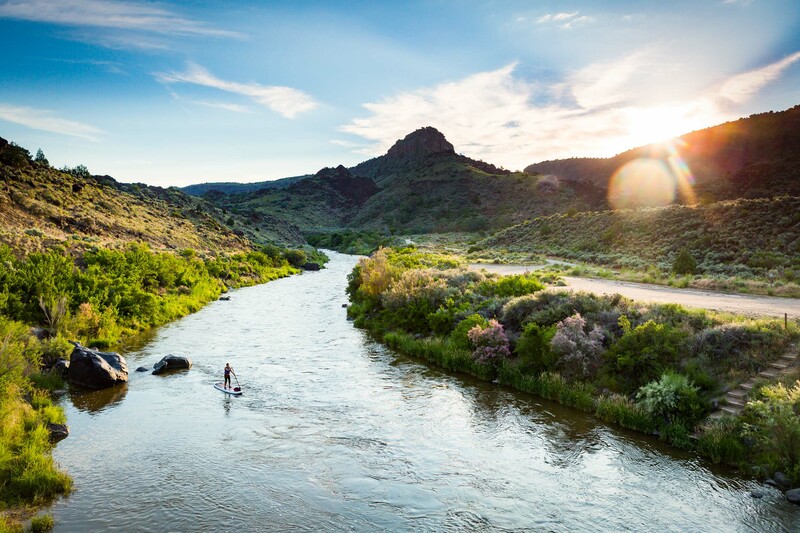 A small person in a grand landscape stand up paddling on the Rio Grande at sunrise. Rio Grande del Norte National Monument near Taos, NM. Photo © Michael DeYoung - a Taos, New Mexico adventure travel and active lifestyle photographer.